 Home › Unlabelled › Monarch Token - Universal Crypto Wallet with Recurring Payments and Silver-Backed Tokens. 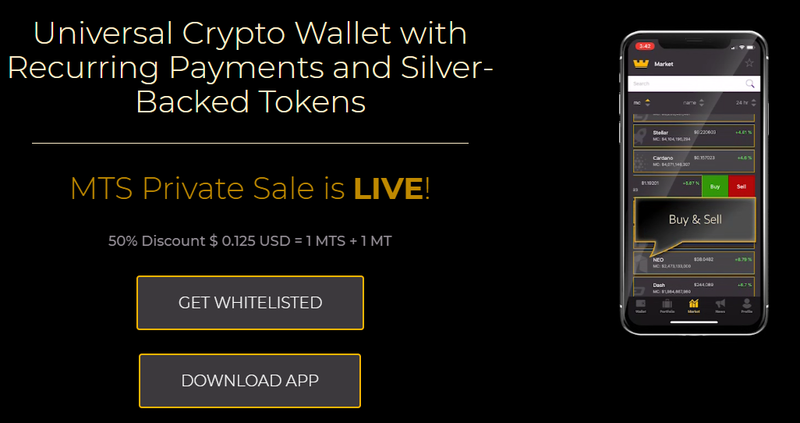 Monarch Token - Universal Crypto Wallet with Recurring Payments and Silver-Backed Tokens. There are a lot of barriers for new investors getting involved with the current crypto space. For instance, turning cryptocurrency into fiat cash can be a difficult process. On average, it can take around 3-7 days before the bank institution accepts the change and turns it into cash. Also, public and private keys can be easily stolen if misplaced or lost. And the multiple KYC processes and account setups make more entry barriers. That’s where Monarch Token steps in. 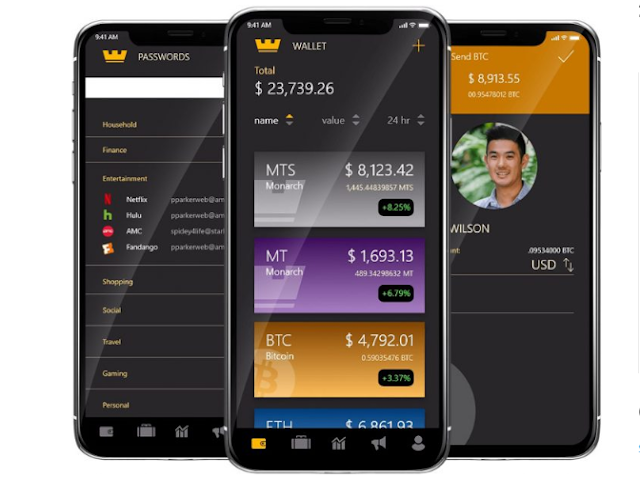 Monarch Token ICOMonarch token solves these problems by making a platform that allows users to link their bank account with Monarch so that they can buy, sell or trade cryptocurrency easier. And the project plans to create a password generation tool that allows users to store their electronic public and private keys. As the project matures, they plan on using Monarch to help pay for subscription services such as Netflix, utility bills, car payments, mortgage companies, etc. All of these payments are made possible through one click on Monarch’s app. We believe that the intricacies of cryptocurrency are the barrier to entry for widespread adoption. The security, privacy, and speed of transactions of cryptocurrencies surmount its traditional fiat counterpart. However, the complexities of blockchain technology and non-intuitive user interfaces keep novices from accepting cryptocurrencies as a form of payment. We believe current cryptocurrency payment platform options for both consumers and merchants are lacking critical features and functionality when compared to traditional fiat payment platforms. Hot/Cold Wallet: Monarch Token has a dual purpose wallet which helps store funds, transactions, and helps with completing subscription payments to merchants. Password Vault: Users can store their 2FA codes and passwords. It also supports Mneomic phrases which ensure that all of your passwords are highly protected. Proprietary Blockchain: Monarch’s blockchain platform is able to handle scalability issues while also being able to cater to decentralized applications. Exchange: You can buy and sell cryptocurrencies at the best prices and has liquidity from a 3rd party and internal exchanges. Business: Monarch supports businesses by giving them a platform to accept payments in cryptocurrency and then transfer the earnings into fiat. This option is great as it allows businesses to increase their profit revenue while obtaining more customers internationally. User-Friendly: Monarch Token allows users to get create their own personalized wallet while also being able to participate in an exchange that’s simple for them to understand. This removes the barriers of entry that most first time investors tend to have. Investor Benefits: With Monarch Token, investors can receive weekly dividends, utility token airdrops, and additional tokens that are backed by silver. Unverified Team: Having an unverified team can lead to suspicions about the team’s credibility. All of the members of Monarch team are unverified, which can potentially turn some investors away from the project. Competition: There is a multitude of other crypto exchange projects that are currently in the market. We’ll have to see Monarch Token create an innovative solution to the crypto exchange problem if they hope to surpass their competitors. Country Restrictions: While this is a good ICO project, chances are it will take some time for it to pass country bans in the US and other western countries. If this is possible, then chances are it will become a sustainable project in the long run.